Twitter and social networks in general, participate more and more in everyday life. This is why they have become a fundamental source of information that reflects the ideas and opinions of their users. 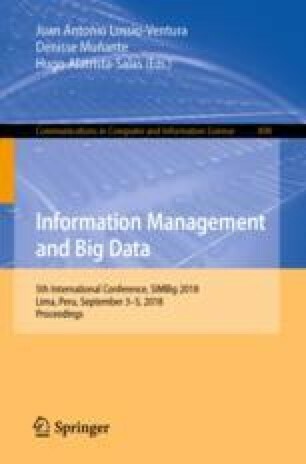 This paper shows how the most influential users, called influencers, can be decisive in defining whether a publication becomes popular or not, regardless of its content. To achieve this, we build a dataset of Spanish-writing users sampled from Twitter, along with the content generated and shared by them within a year. In a first phase, we use different algorithms to detect users who are “influencers”. In a second phase, we train a binary classifier to predict if a given tweet will be a trending publication, based on information about the activity of the influencers on the given tweet. We obtain a model with an \(F_1\)-score close to \(79\%\), based on the retweeting behavior of a \(10\%\) of the users dataset considered as influencers. Finally, we add two Natural Language Processing (NLP) techniques to analyze the content: Twitter-LDA topic modeling, and FastText word embeddings. While both models alone have an \(F_1\) of less than \(50\%\) for trending prediction, FastText combined with the social model reaches an \(86.7\%\) score. We conclude that while analyzing the content can help to predict the popularity of a tweet, the influence of a user’s environment in the retweeting decision is surprisingly high.